As order exponentially increases, time exponentially speeds up. I consider myself an inventor, entrepreneur, and author. Even by common wisdom, there seem to be both people and objects in my dream that are outside myself, but clearly they were created in myself and are part of me, they are mental constructs in my own brain. I’m an inventor. I became interested in long-term trends because an invention has to make sense in the world in which it is finished, not the world in which it is started. We appear to be programmed with the idea that there are We appear to be programmed with the idea that there are. 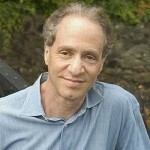 Raymond "Ray" Kurzweil is an American author, inventor, and futurist. Aside from futurology, he is involved in fields such as optical character recognition, text-to-speech synthesis, speech recognition technology, and electronic keyboard instruments. He is the author of several books on health, artificial intelligence, transhumanism, the technological singularity, and futurism.